Most people who know of me are well aware of my accomplishments on the basketball court. While my individual accolades in professional sports are a great source of pride, I’ve always been about “the team” and planning for the long-term. Everyone can’t be blessed with a 6’8” frame and natural athletic abilities. For me, the pursuit of becoming a professional basketball player was always a means to an end. While honing my basketball skills as a boy, I also aspired to one day become a successful businessman who carried a briefcase to work. I was motivated to become successful in business because I wanted to provide for those that I love and to make them proud. I’m very proud of my success on the basketball court, but accomplishing the business goals that I set in my youth has been a tremendous source of pride. In basketball, and in life, having the support of a talented and dedicated team is essential. Nobody does it alone. With this new venture I’ve assembled a team that’s second to none. They understand how modern business is being fundamentally transformed and have a wealth of collective experience and knowledge on how to create value and drive real results. By combining our talents, we’re not jacks-of-all-trades…we’re masters. That’s not boasting – that’s our promise to you. 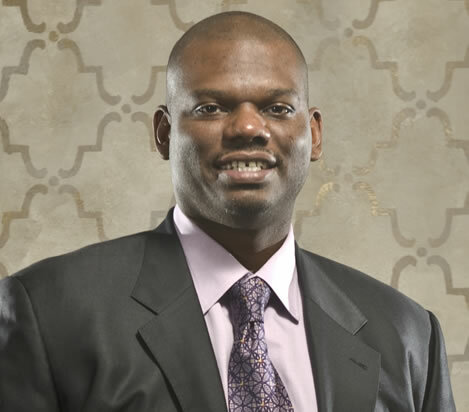 Jamal Mashburn is most notably known for his success on the basketball court. The former college and NBA All Star spent over 20 years with the Kentucky Wildcats, Dallas Mavericks, Miami Heat, and New Orleans Hornets, where he dribbled, dunked, and dazzled fans. Yet, before Mashburn ever set foot on the professional hardwood, he was already preparing for his life after basketball. With a natural knack for teambuilding, Mashburn took his skills straight to the business world without missing a beat. Mashburn successfully assembled a team of savvy professionals specializing in administration, finance, project management, insurance, and advertising. This rock-star team quickly developed an ownership model that resulted in an impressive business portfolio. To date, Mashburn — the entrepreneur — has ownership interest in numerous restaurant franchises (38 Outback Steakhouse restaurants, 40 Papa John’s pizza restaurants, and three Dunkin Donuts stores), car dealerships (owner of Kentucky’s Toyota on Nicholasville and Lexus Store of Lexington), real estate, and the thoroughbred horse racing industry. In his spare time (and when not laser-focused on new investment opportunities) Mashburn even served as an ESPN on-air NBA analyst (2006-2010). Currently Mr. Mashburn is a Board Member of the ROI Acquisition Corporation and a Board Member of the FairBridge Hotels International. Extremely civic-minded, Mashburn is committed to helping others and giving back to the community. In 1993, before he ever signed his first professional basketball contract, he donated $500,000 to establish and endow the Mashburn Scholarship Fund at the University of Kentucky. The scholarship identifies ninth grade students in the Lexington, Kentucky, area, tracks them through high school, and then awards them a full scholarship to attend the University of Kentucky or Bluegrass Community and Technical College in the event they achieve their academic and personal goals. He is also a founding member, officer, and director of The MAP Foundation (focused on youth mentoring) and Mashburn Family Foundation (offering programs and support for latch-key children and children of alcoholics and single mothers), both of which are non-profit 501(c)(3) corporations. In 20011 Mashburn held a seat on the Board of Directors for the National Forest Foundation and has served on the Advisory Board for Central Bank & Trust Company in Lexington, KY from 2005-2008. Mr. Mashburn also ensures that each of his businesses actively participate in their local communities by way of donations to various charitable organizations. Mashburn has taken full advantage of the opportunities afforded to him and now encourages and inspires others to embrace his team-first attitude, helping them achieve success in business — and in life.